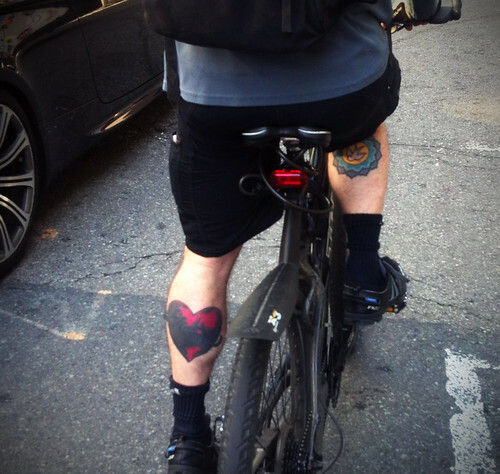 I'm often disheartened by the animosity between cyclists and motorists in San Francisco, a city whose heritage is one of tolerance, openness, and yes, peace and love. In our lifetime, in this city and in this country, I think we can achieve more harmonious shared roadways for cyclists, motorists, pedestrians and other kinds of ambulant beings, but we need to slow down and be more aware of our surroundings. We need to envision a community where we don't have to fight with others for a sliver of space on the same road. We need to envision a community where politeness comes before entitlement. We need to envision a community where each of us is responsible for the safety of all who use our public streets, instead of placing blame on the other. I believe we can coexist. We must first start by envisioning a community of tolerance, awareness, politeness and safety for all, and then as a community, we must set those visions into motion through our actions. You're welcome! Ride in peace!